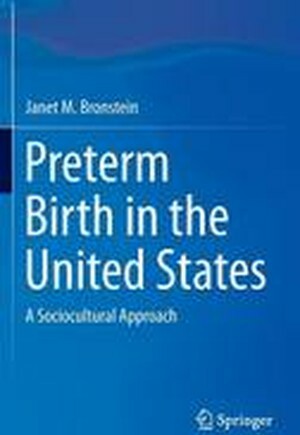 * Ethical: moral decision-making about preterm birthsPreterm Birth in the United States synthesizes a wide knowledge base for maternal and child health professionals across diverse disciplines, including public health, social work, nursing, medicine, and health policy. Social scientists with interests in reproduction and gender issues will gain access to historical, clinical and epidemiological knowledge that can support their work. There is also an audience for the book among childbirth activists such as supporters of midwifery and less medicalized childbirth. Introduction.- The Clinical Dimension: What Causes Preterm Births and How Are They Prevented and Treated?.- The Epidemiological Dimension: Who Has a Preterm Birth?.- The Cultural Dimension: How Do We Think about Preterm Births?.- The Political Dimension: How Do We Control the Preterm Birth Problem?.- The Medical Care Dimension: How Do We Deliver Care for Preterm Births?.-The Ethical Dimension: How Do We Make Decisions about Preterm Births?.- Epilogue.- Methodological Appendix.